I have for sale my much loved VW golf gti 1.8t for sale, I've only had her since late July but I'm selling due to immigration in 2 weeks. The car itself has 142,000 miles but been very well looked after with a full service history and has an mot until October 2016, when I picked it up it was a temperamental runner but I've spared no expense to make sure it runs beautifully. 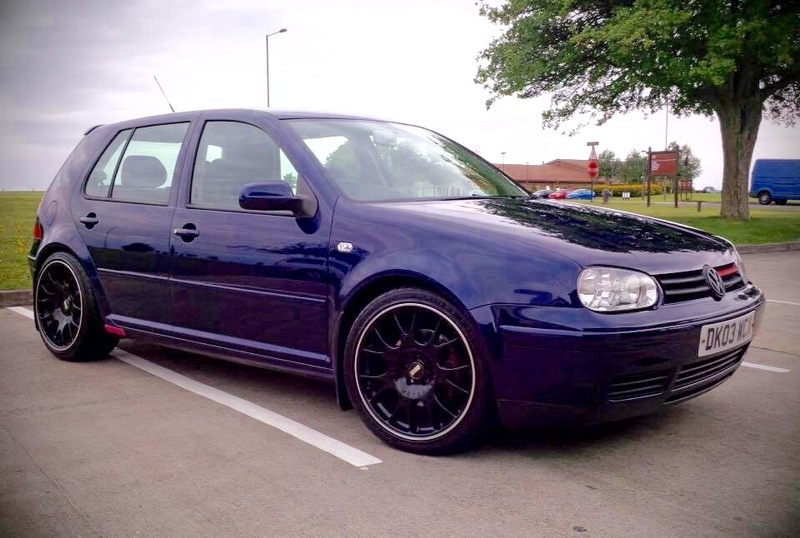 The car itself is pretty much standard but it has been lowered tastefully and it sits on genuine 18inch bbs motor sport alloys, the interior has always been looked after and can see any signs of age. I'm sure I'm missing more but I've got all the receipts of all the work that's gone into this car. Minor age related imperfections but can be expected for a car of this age. And now the weathers getting cold the starter motor sometimes squeaks but it starts first time every time. This car is my pride and joy, it's fast and on long drives it's fuel efficient and sounds amazing it's a lovely place to be and it looks fantastic even with today's standard. I need the car sold after the 16th of December 2015 so if interested I could only sell it after that date because I still need a run around until I leave the country.